Patroned by Jay-Z (sort of). Jay-Z is one of the various owners of the New Jersey Nets that will be moving to Brooklyn in a few short years. 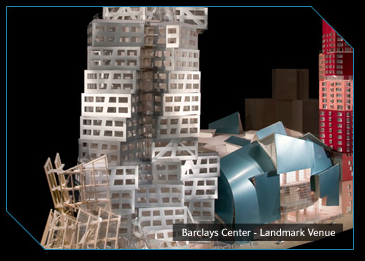 The above new stadium, Barclays Center will open in 2011. 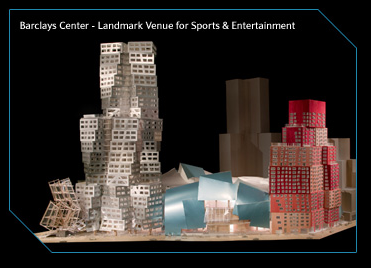 Designed by famed architect Frank Gehry's design includes the sports arena, business, and residential complexes (affordable residental Jay-Z adds). The story concerning Lebron James, goes like this. His contract with the Cleveland Cavaliers expires after the 2010 season. 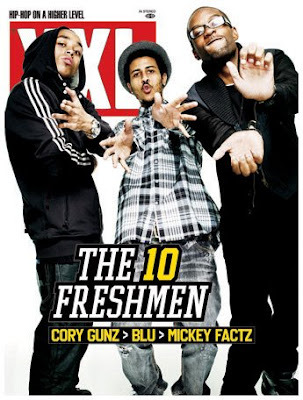 The year before Jay-Z's Nets move to Brooklyn. Not only are Lebron and Jay good friends, but the rumor is Lebron's Nike contract includes a $50 million bonus if he were to move to either the New York City or Los Angeles markets. This could be the future home of King Lebron James. 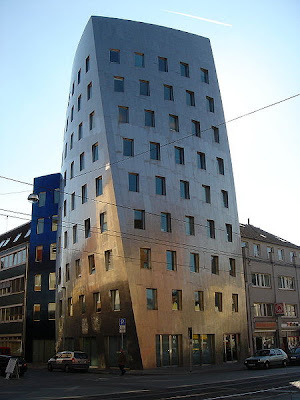 Frank Gehry's (if you're not familiar check out some of his work) Gehry Tower in Hannover, Germany is so dope. BBC's Alan Yentob does a little documentary with the one and only Hova. This is part 2 of 7 clips. Check them all out on youtube.com/. I sort of feel bad posting this. He must be getting old, but regardless. Sometimes I wish he would say more than he does, but then I'm reminded the attention to detail that is put on every word these candidates use. The more I think about it, the more I'm excited to have a new leader. I can't wait to watch and listen to a new President report the State of the Union, to issue statements as our leader, and to enact change for our country. 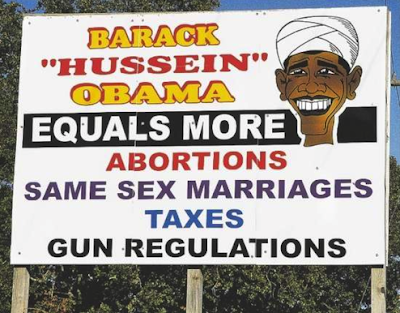 I really 'hope' Barack Obama gets elected. I really believe he'll do great for our country. The Killers new album coming out November 22nd is already receiving praise. 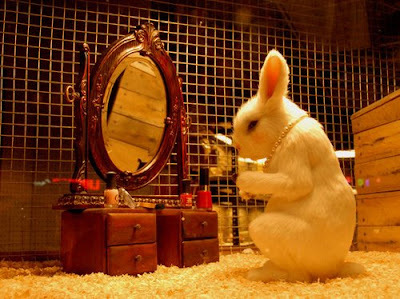 "At times it like a Baz Luhrmann musical (Romeo + Juliet, Moulin Rouge) about Howard Hughes or Liberace............ It's as spectacular, desperately eager-to-please grandoise, absurdly entertaining, corny and heartbreaking as a typical night out on the strip (Las Vegas)." "What could be more Vegas, baby?" 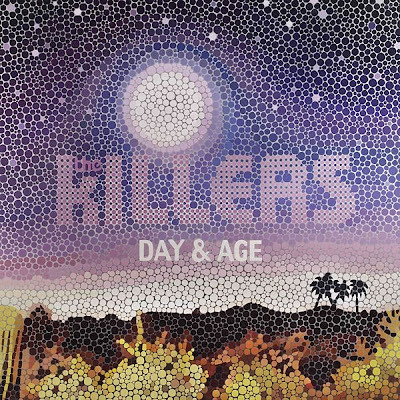 "Day & Age isn't just The Killers' best album. It's one of the best records of 2008." That's what columnist Bill Simmons has predicted for the 2008-2009 NBA season. 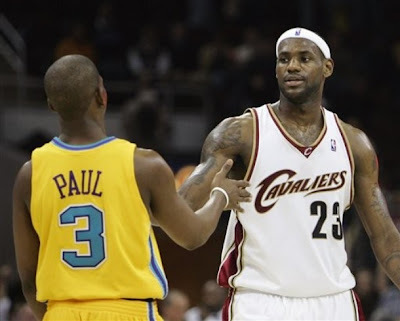 This Finals scenario of Lebron James' Cleveland Cavaliers over Chris Paul's New Orleans Hornets would mark a new era of the NBA. I like the prediction; however, the Lakers are going to be a hard team to mess with. are the graphic designers who create brand images. 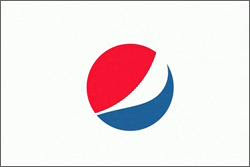 I can't find any real numbers, but Gawker seems to think the guys who redesigned Pepsi's new logo will made mad millions. I've got to get in that profession. "A DVD of Cool Runnings." 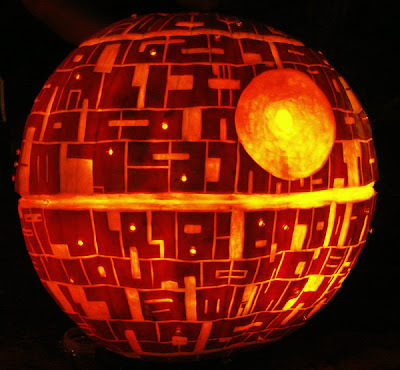 The Los Angeles Times put together a slide show of some amazing pumpkin designs. Look at a few of my favorites and then go over to their show to see all 24 of their picks. 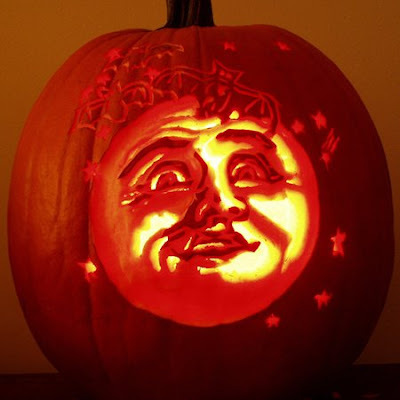 Check out more designs at the L.A. Times website. American urban clothing designer, Marc Ecko took these photos from his friend, Bruce's (?) international birthday bash in Hong Kong over the weekend. The eclectic party guest list included Rihanna, Lionel Richie, Jewel, and David Blaine. 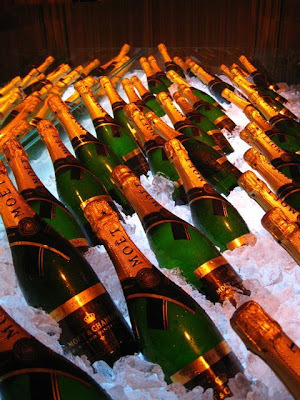 Besides the hundred bottles of Moet champagne the lavish party featured the dancing of Miss Dita Von Teese. Who is this international play-boy Bruce? Heard it on a Heinikein commercial. 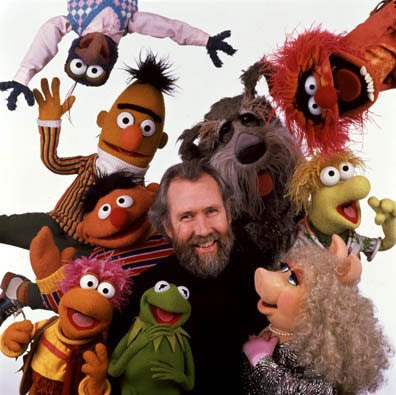 The Chicago Reader wrote up a piece on Walter Meego. The Chicago duo released their first LP Voyager (which "Forever" is on) this past May. The group has apparently moved on to Los Angeles and the C.R. had this to describe their move. Whatever their reasons, LA is a good match for them. Most music from these parts seems to reflect the harshness of the long midwestern winters- it's at least touched with angst and occasionally a real bummer- but Voyager is downright breezy. Something about its chrome-dipped disco makes me picture parties where people pluck hors d'oeuvres off circulating trays and men in linen suits wear sunglasses indoors. 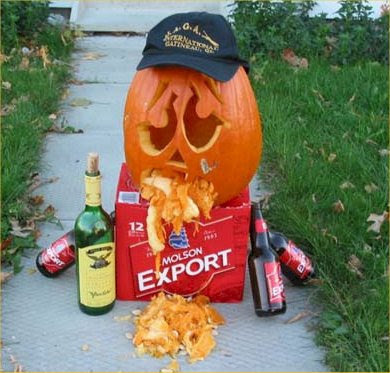 I want to find to this party. 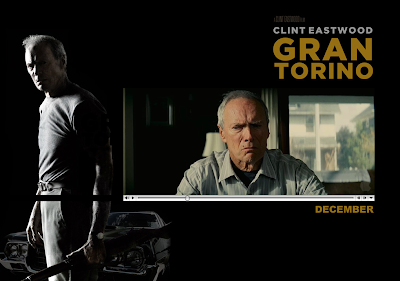 Clint Eastwood's upcoming December release Gran Tarino (Dec. 17) is like a melting pot of the Good, the Bad, and the Ugly + The Bucket List + Romeo Must Die. Two new leaked songs from Kanye West's album linked below. The official album cover above. "Life is meant to be fun, and joyous, and fulilling." 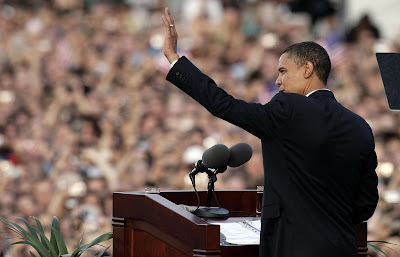 A month-long Gallup poll of 70 countries concluded that 30% of worldly citizens prefer to see Barack Obama as President compared to the dismal 8% that would rather see John McCain. 62% offered no preference. Europeans were the most likely to display preference, whereas Asian countries saw little affect of what candidate won. This election is vital for Americas position in the worlds view of our nation, especially in such dramatic times of an imminent economical disaster. As I previously posted. In the words of flimmaker Spike Lee, "The whole world is watching this thing. 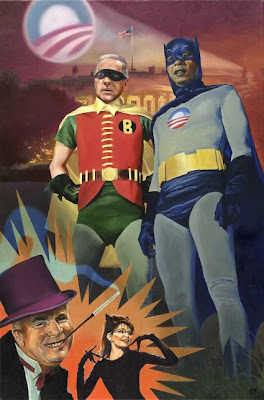 And America is going to be looked upon as we were post-World War II--as the leader of the free world, instead of as the warmongers we've been the last eight years under the Bush administration. This is a new day." The Phillipines and Georgia were the only specific countries that preferred John McCain. Check out the article were news was taken from here. 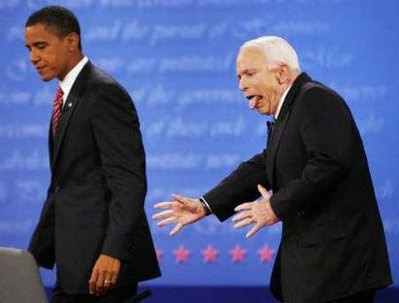 "Whenever you're thinking about voting for McCain, think of this face right here." The days of the late 90's and early 2000's are long gone. 3rd string rappers (like Beanie Sigel and Memphis Bleek) on powerful hip-hop labels (Roc-a-Fella Records) can no longer even go gold. Jay-Z and Nas, once the premiere rappers of the industry, are no longer relevant to the youth. In fact, hip-hop isn't the staple in music that it once was. Indie-alternative seems to be the genre of the moment. 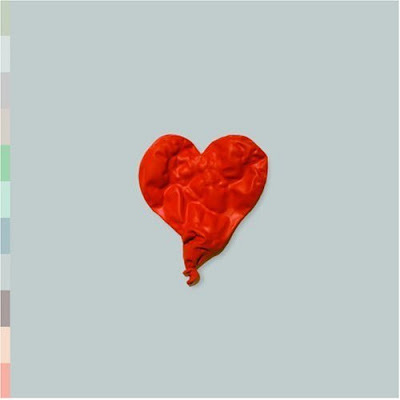 And Kanye's move into this genre seems to signal this transition. Outkast disappeared years ago. T.I. 's going to jail. Jay-Z, Nas, Snoop Dogg, Common, Eminem, Dr. Dre, and Jadakiss are all getting older by day. Lupe Fiasco can't run the genre by himself. It's up to a whole new era of hip-hop artists to save the dissolving industry. 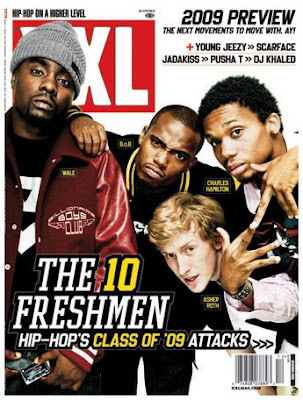 XXL Magazine (I magazine I once loved + read in my younger days) came out with the MC's that they believe will be taking over in the future. Maybe they can. 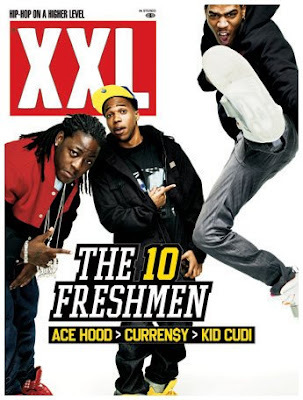 Wale (Washington D.C. native), Charles Hamilton (you already know I'm a big fan), Cory Gunz, Curren$y, and Kid Cudi. Terrible, yet Funny and possibly true!?! Spencer Pratt + Heidi Montag. Talentless celebrity scum. Click on the picture to read what their t-shirts say. 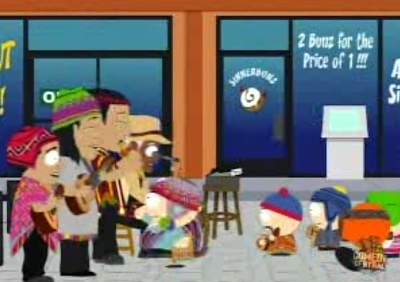 "They are Peruvian flute bands. 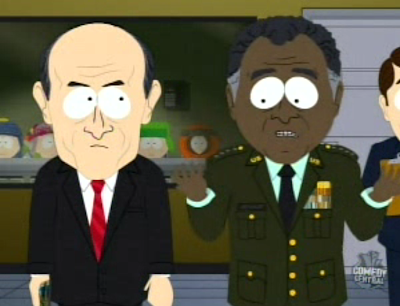 Must take out Peru." My homie from Maine apparently knows this guy. He showed me this video last night. The song is pretty cool, the video is funny. What can I say? I'm impressed. O yah. 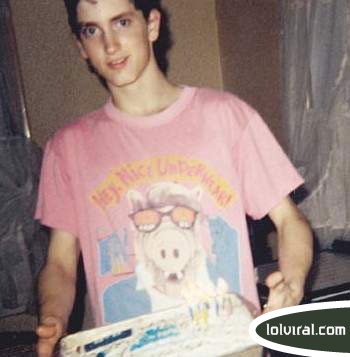 I update the link to Eminem's new song. Posted it a couple days ago and the former linked died. Now revived here. "Size doens't matter, when it comes to making plays"
11 of the top 30 receivers in this years NFL season are under 6 feet tall. Hines Ward and Marvin Harrison would be listed their too if they both weren't listed at an exagerrated 6 foot. As Santana Moss explains, "The league is becoming more about little guys, because a lot of us are run-after-the-catch types. The whole idea is to get the ball in our hands and then let us do our thing." Read the article over at ESPN. Which one is Mary-Kate? Ashley? Kanye has this post category, fresh kids. The posts are of people he thinks have cool style. I was really digging his post of the Olsen twins. 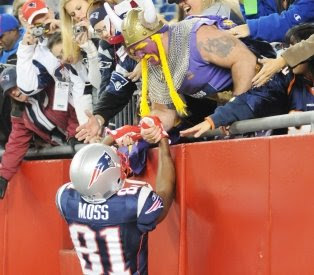 Randy Moss (one of my all time favorite athletes) showed love to one of his earliest fans after catching 2 touchdowns on Monday night. 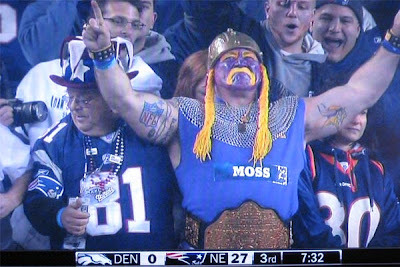 The years he spent as a Minnesota Viking were glorious. Boston fans have no idea how much they owe us. All of those recent championships. All from the great state of Minnesota. Haaaaaa. 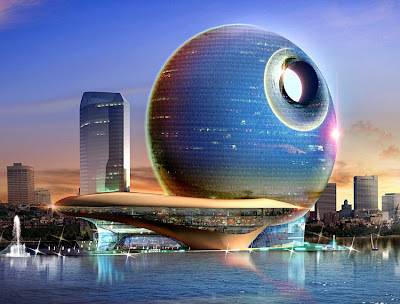 The Full Moon Hotel is being built in Baku, Azerbaijan (Absheron peninsula on the west coast of the Caspain Sea). 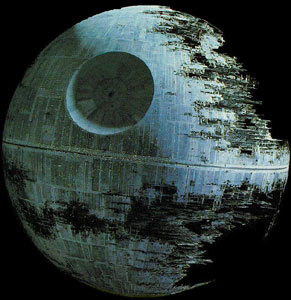 It does look strikingly or rather exactly like the Death Star. What was this Ref thinking? Seriously?? This is some Pete Rose, point shaving shady business. Funny explanation. Referee culprit Wilbur Hackett Jr. is a former linebacker for the University of Kentucky. He definietly went into linebacker mode when he gave South Carolina QB the lowered shoulder. But, for some reason South Carolina coach Steve Spurrier cleared Hackett Jr.. No idea why though. "What Is The Mixture To Life's Elixir?" I went to this amazing concert Sunday night. Swedish pop singer, Lykke Li performed many of her songs from her debut album Youth Novels and 3 covers. Wendy Rene - After Laughter, A Tribe Called Quest - Can I Kick It and Vampire Weekend - Cape Cod Kwassa Kwassa. Watch some clips to see what her performances are like. Buy one of the only 14 remaining prints available. Eminem is coming up with an album in 2008. Relapse is the name of the album and the name of the song that leaked today. I've heard (and read) people complain that Michael Cera's niche character is getting old. But, I can't lie. I still think his character is super funny. Superbad, Juno, and Nick & Norah's Infinite Playlist. You probably can't read what I'm pointing at in the picture so let me explain. 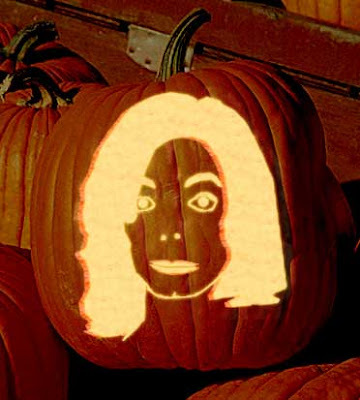 I love browsing itunes celebrity playlists. They show you famous and semi-famous people's preference of music with defense. It's always interesting to find out what people listen to (or what they want you to think they listen to). One of the most common moves celebrities make in these playlists is putting up music that hasn't quite crossed over yet and on the brink of breaking through to main stream media. These people always like to tell you how big or popular these bands will be. Read what Cera had to say about Van Morrison's "And It Stoned Me"
"This is this new up and comer, he's going to be big." I wish there was a print symbol for expressing sarcasm. And here is the 90 minute video of last nights debate. Stone says some intriguing things about the movie and a great perspective on America's future. As Maher points out he did make Wall Street and World Trade Center. Got to see that movie this weekend. Check out Josh Brolin's 'dubya' here. 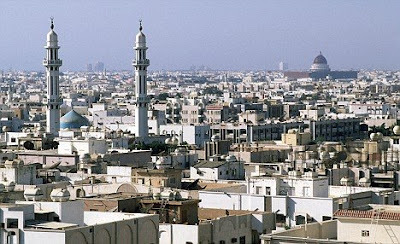 One of the many billionaire Saudi princes, Al-Waleed bin Talal, has announced his companies plan to build the worlds tallest building in Jeddah, Saudi Arabia. 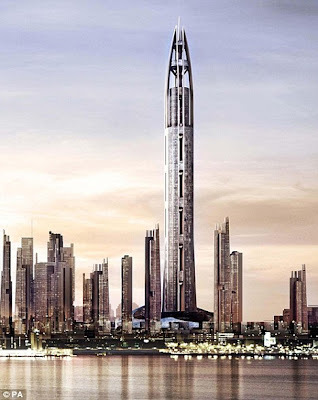 Kingdom City (the name of the project) will be 1 kilometer tall, taller than the nearly finished Burj Dubai (800-some meters); however, the same height that world-renowned developer Nakheel's Nakheel Tower to be built in Dubai. Below is an artists depiction of what the Nakheel Tower will look like. 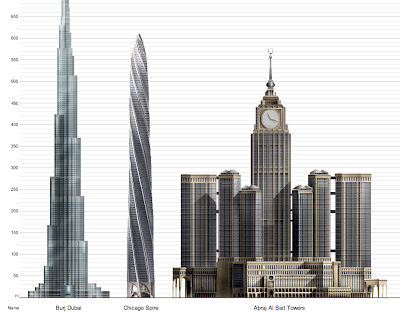 For a look at the current rankings and pictures of the worlds tallest skyscrapers check out skyscraperpage.com/. An update to yesterday mornings Sherlock sighting. 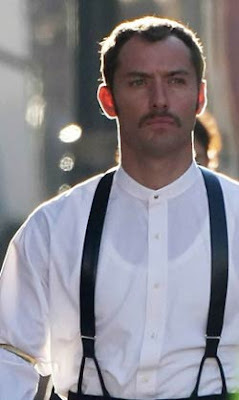 Photographers found Jude Law in his Dr. Watson get-up possibly a day or two after finding Downey Jr. on Friday. 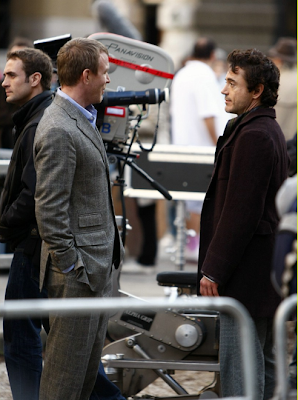 Above are some of the first photos taken from Guy Ritchie's upcoming Sherlock Holmes (2009) movie. The filming was taking place Friday at St. Paul's Cathedral in London. 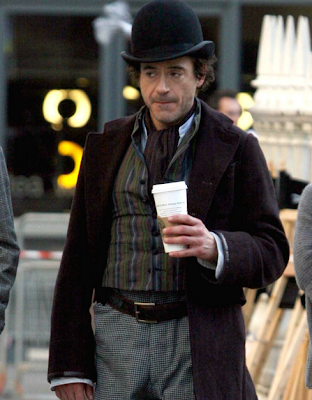 This is the first look at Robert Downey Jr. in costume playing detective Sherlock Holmes. Banksy's first ever New York City exhibition came out this week. 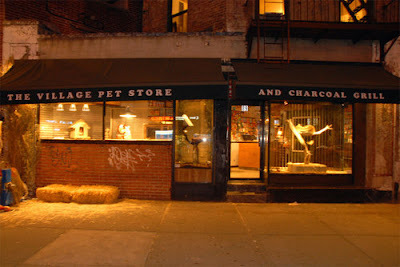 A village pet store at 89 7th Avenue between West 4th and Bleeker Street in West Village NYC. There are no signs or graffiti that announce that this is Banksy's work. Sort of playing along with his anonymity. This guy is the best artist doing it right now. Search Banksy in my blog and see his other graffiti works. 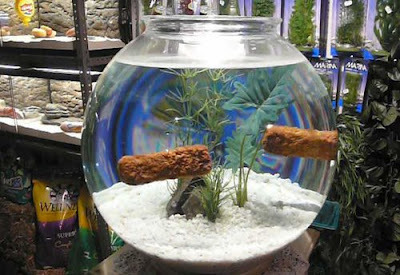 And look below at the Rabbit checking himself out in the mirror, The Chicken McNuggets dipping themselves in honey mustard, or the fish sticks swimming around in a bowl. And check out the video tour below. This is what Banksy had to say about the exhibit. "New Yorkers don't care about art, they care about pets. 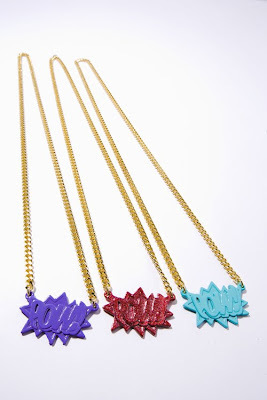 So I'm exhibiting them instead. I wanted to make art that questioned our relationship with animals and the ehtics and sustainability of factory farming, but it ended up as chicken nuggets singing. I took all the money I made exploiting an animal in my last show and used it to fun a new show about the exploitation of animals. If its art and you can see it from the street, I guess it could still be considered street art." Check out Vanity Fair's breakdown of the fraudulent Raffaello Follieri's and American Princess Anne Hathaways' fairytale. If you don't know Follieri, read below. "But rather than some new kind of con man - the "Vati-Con," as one tabloid called him - he seems, to friends and colleagues, even to some he may have scammed, a more classic type: the young protagonist of a 19th-century English or French social novel, coming to London or Paris from the provinces with humble means and huge ambition." The famous bull up in Wall Street was gratified with blue paint earlier this morning. It's already been cleaned, but somebody got a photograph for all of us. 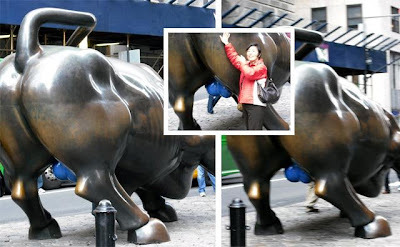 Maybe Wall Street does have blue balls. But, this graph below brings some perspective of W.S. 's sexual history. Too deep of a drought? I can't front. 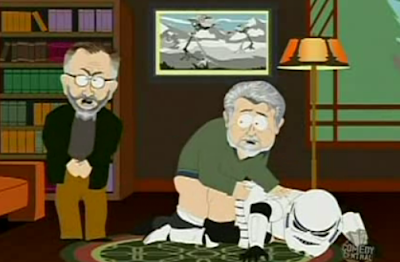 I've been loving South Park the last couple seasons. 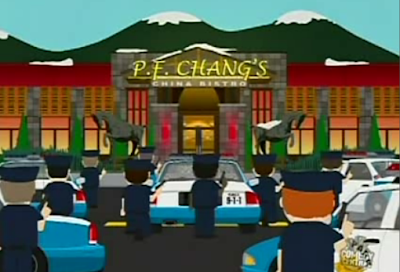 But, last nights second half of the 12th season's premiere was just lame. Dumbed down. Nothing original. Come on Trey + Matt come with something clever.